Due to massive price hiking of German Postal Service for international shipments, I will close down my little hobby on Tindie by the end of 2019. For small parcels without tracking the price has increased from about €6 to €16! It's been fun since 2013. "Sharing the fun and joy of playing with small electronics bits." Great idea and implementation. Somewhat fiddly construction. This is a great alternative to more expensive ISP solutions that take up more space on your board. Clean, well-thought-out design and seems sturdy. Easy to use, though it does not clip on - you must hold it in place. Assembly instructions could be more clear and easier to find. I had to look in several places to find the correct orientation for the 6-pin header. The link printed on the board does not take you directly to the page you need. But that is a minor complaint; the product itself could hardly be better. I really like the idea and the very small ISP footprint specification; it is very useful for my SMT ATTiny designs. The assembly of the adapter is a bit challenging - I managed to build two that came out okay, but you really need to be patiend and align the pogo pins carefully. Maybe a small secondary PCB with holes for aligning the pogo pins, at least as a soldering aid, would be useful. Fully-assembled, this is a lovely little product. Gives you a half-pitch (50mil) pin spacing 2x3 pogo bed, to attach the usual ISP signals to. 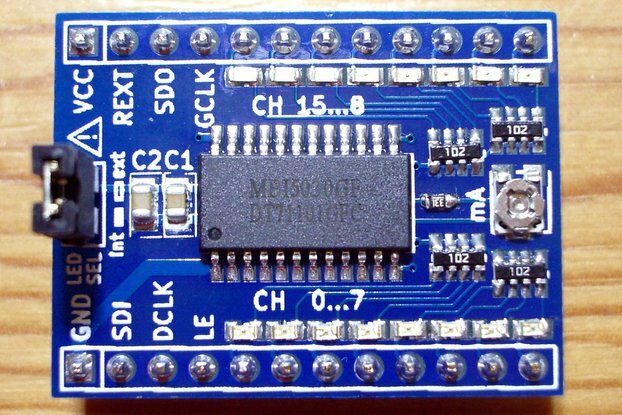 This is lovely for getting a really small board layout - I once managed to squeeze the required bare pads onto the underside of the board directly beneath an ATtiny84 chip, thus wasting zero extra board space. Being a straight-through adapter, it doesn't really matter which way round you mount it on your 6way ribbon cable, just make sure to align it on the target board in the same orientation. My advice would be to ensure you're very careful soldering it up. These tiny little pogo pins can be very delicate, and it takes a while to get all the pins aligned precisely parallel to ensure no shorting out between them. Also when designing a board with bare pads on it, make sure to place at least one via drillhole in the centre of a pad, to give the points of the pogo pins something to grip onto so the whole thing doesn't slip. It wouldn't take much slippage to cause a short, potentially destroying your chip. This is a great little adapter! I pre-tinned all the pads on the PCB used some scotch tape to hold down the pogo pins while soldering - which made it actually quite easy to get this tiny thing assembled. Saves so much space on the PCB I could actually fit the ISP header inbetween the SOIC ATtiny84 pins and now program from the bottom side of the PCB. I am just starting out with surface mounting parts -- And this went really smoothly. The only problem I had was orientation of LED's. Support was prompt & helpful. I will buy more if another need/project comes up. 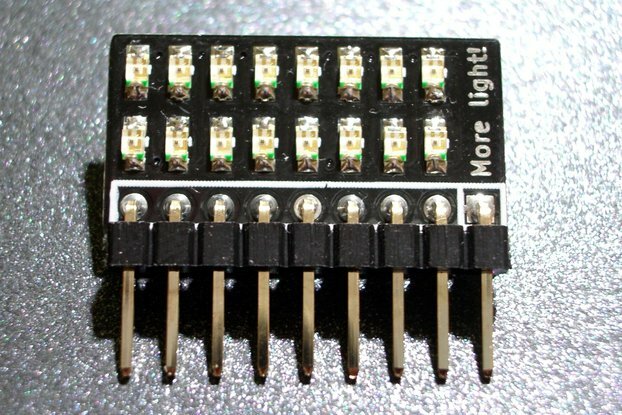 I have amended the documentation regarding LED orientation in the "source-code" repository on github (Docs subfolder).